I’m way behind on work and I don’t have all the resources I need for my latest re-photography post (Columbus, OH edition), so here’s a photo I took of a giant tortoise a few weeks ago. He made an appearance outside of my GEO 101 classroom, so I delayed the start of class for the hordes of my students wanted to join me and going to take a look. I forgot his name, but he was grappling pretty hard at the sides of that wheelbarrow. The RA who worked for his owner had to keep interrupting herself to make sure he didn’t climb his way out of it. I’m hardly an expert in biogeography, but I do know enough to say that turtles and tortoises are the greatest. Hope everyone is making it through their fall semester. Talk soon. 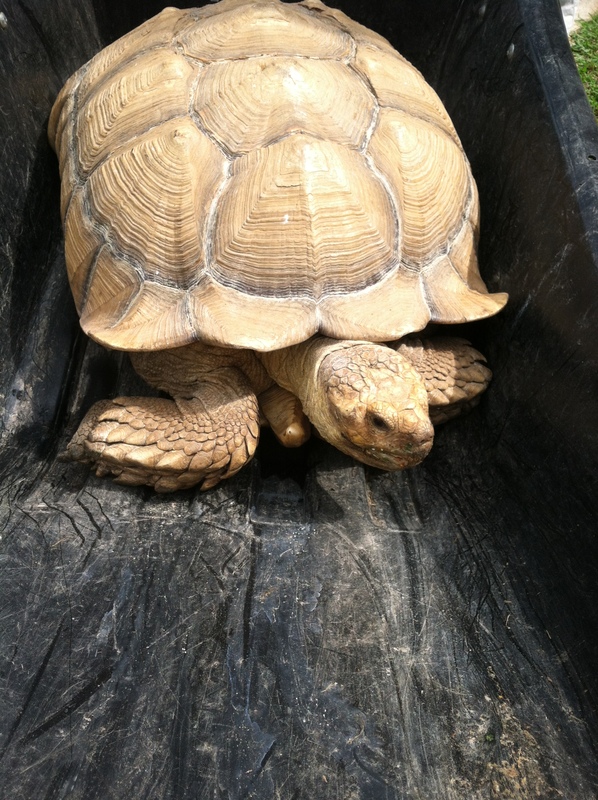 This entry was posted in Environment and Sustainability, Knoxville and tagged biogeography, reptiles, tortoise, turtle by Tyler. Bookmark the permalink.